The Indian Stock Market has corrected sharply from its peak. Market experts are suggesting to start buying in the stock market from long term perspective. The reason is that it will never happen that you will buy at a bottom and sell at the peak. 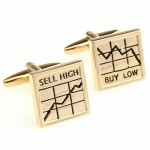 It is always advisable to buy in a staggered manner and similarly sell in a staggered manner to book profits. I have already identified some stocks which are available at good valuation and initiated a purchase by adopting the philosophy of value investing. In short, Buy More when Price is Low and vice versa. I will share in my future post how i follow this philosophy, but this post is to make you aware of short-term threats to the stock market. Before you are out with shopping bags, it is important to analyze and understand the short-term risks. By short term, i mean next 6 months to 9 months. The following factors will influence the movement of the stock market. In my opinion, currently FII’s are booking the profit which resulted in this sharp correction. Let’s accept the fact that Indian Stock Market is driven by FII’s not by domestic investors. In past, markets have crashed as and when FII’s decided to pull out of Stock Market. From quite some time, i am observing that FII’s are net sellers but this time best part is that DII’s are supporting the market. Many analysts believe that hope rally is over, but we need to understand that it can be a routine profit booking exercise of FII’s. They will re-enter the market at realistic valuations. For example, If i started investing in a stock market at levels 7000, 7500 and 8000, when market touched 9000 then obviously i will book profits. I cannot keep investing forever. Investment philosophy says that book profits at higher levels and re-enter at lower levels. This is where Indian Investors should learn. Indian investors enter at higher levels and exit at lower levels. I never believe in Long Term Investments as such. I am not saying that investors should become traders, but it is imp to book profits at right levels. Let me share the example, An investor invested in Stock A at Rs 80, Rs 100 and Rs 120 during a year long rally with an average of Rs 100. The stock reached the peak of Rs 180. After correction, it is now trading at Rs 120. Analysts may say that a investor is a long term investor but in my opinion it is foolishness. An investor should have booked some profits at higher levels and could have entered again at lower levels. As i mentioned that currently profit booking cycle is underway and no one knows how deep it will be. In short, when the profit booking will halt and investment cycle begins. Normally we say God Knows but in case of stock market FII knows. According to experts, the stock market has very strong support to 7700 level. As i mentioned that an investor can never find bottom therefore at 7950 level it’s time for staggered investment. In my opinion, this is the biggest perceived threat among all. Rather i would like to say that this is an excuse to book profits. Last GDP numbers of US economy were not encouraging. In fact, US GDP contracted by 0.7%. Even if Fed hike rate later during the year then also US market cannot deliver the returns delivered by Indian Stock Market. FII’s know this very well. In my opinion, Fed Rate Hike is not a threat but the Fear of Fed Rate Hike is a threat. The investors should come out of this fear. This fear may be over-exaggerated as it is in the interest of big investors who have already booked profits & waiting to re-enter at lower levels. I can’t stop laughing when investors trust the predictions of IMD (India Meteorological Department). I remember a joke of my childhood days that when it was predicted that it will rain today than we used to plan a cricket match means it will not rain :). Though we were not aware that predictions are done by IMD. Jokes apart, i found following news on the internet with a title IMD’s Monsoon Forecasts: Rarely Spot on!. Though it is an old post but relevant. I think no one can predict monsoon therefore again, in this case, Monsoon is not a threat, but fear of monsoon is a threat. Currently, the dependence of our GDP is low on Agricultural output. Moreover, India always live under the threat of deficient monsoon. From last few years, every year there is a threat but Indian Stock Market still survived these threats and realities. I do agree that if there is deficient rainfall then it will impact consumption cycle. The major impact will be on sectors which are dependent on rural consumption like FMCG, Auto etc. I agree that it’s a real threat to Stock Market. Previous qtr no’s were disastrous and next qtr no’s will determine the direction of the market. The stock valuation should be in sync with the performance of the company. Even after correction in the stock market, some companies are still trading at higher valuations. Therefore, it is important to cherry pick stocks based on their valuation linked to financial strength. I have observed that some companies despite strong no’s and Zero debt are trading at lower valuations. You never know these companies can be multi bagger’s of future. If the investment in the stock market is backed by strong technical and fundamental research then the probability of shocks is very low. For any economy to flourish, the stability of tax regime is critical. Indian Stock Market reacts strongly to any adverse tax regime. At the same time, genuine tax demands should not be linked to tax terrorism. According to some experts, current correction phase of the stock market is a result of retrospective tax notices to FII’s. I cannot comment whether the demand is genuine or not, but tax concerns will keep the stock market on toes. It is imp to clear the air and tax concerns of FII’s should be addressed as per the law. Crude oil prices is also another virtual threat. Let’s accept the fact that crude oil prices at 50 dollars were too low to sustain. There was an excess supply of crude which resulted in a sharp drop in prices. It was done intentionally by some countries to spook the economy of Russia against its action against Ukraine. There is sufficient supply of crude oil and prices will stabilize between 70 to 75 Dollars. The dependence on OPEC is minimum and OPEC will not cut supply to retain the market share. Therefore, in my opinion it’s not a real threat. In my opinion, the outcome of Bihar Elections will have an impact on the stock market. It will be linked to the popularity of PM and confidence of people in the govt. With the tie-up of JDU and RJD, the going is tough for NDA. Any impact will be short term and long term growth story remains intact. Any correction is always a good buying opportunity for long-term investment subject to profit booking. Concluding Remarks: I have not included Inflation as a threat in my post as inflation is derivative of crude oil prices and monsoon. If there is a normal monsoon and crude oil prices also stabilize then inflation is not a threat. As we saw that most of the threats are not real/are only perceived. Therefore as an investor, we should not get trapped and focus on our investment philosophy to meet investment objectives. On the other hand, even if the threats are perceived or not real then also they impact stock market therefore we cannot ignore their impact. It’s a catch 22 situation. In my opinion, a fear is created to spook the market so that big players can re-enter the market. Small investors don’t have any source to know this, but you can always catch signals. Remember the golden rule of investing, Buy when other’s are selling and Sell when other’s are buying. Hope you liked the post. You can share this post with your friends and family members through following social media icons.